When you need to take repeated small blood samples from a mouse, consider placing a catheter in the jugular vein or carotid artery and connecting it to a transcutaneous skin button. 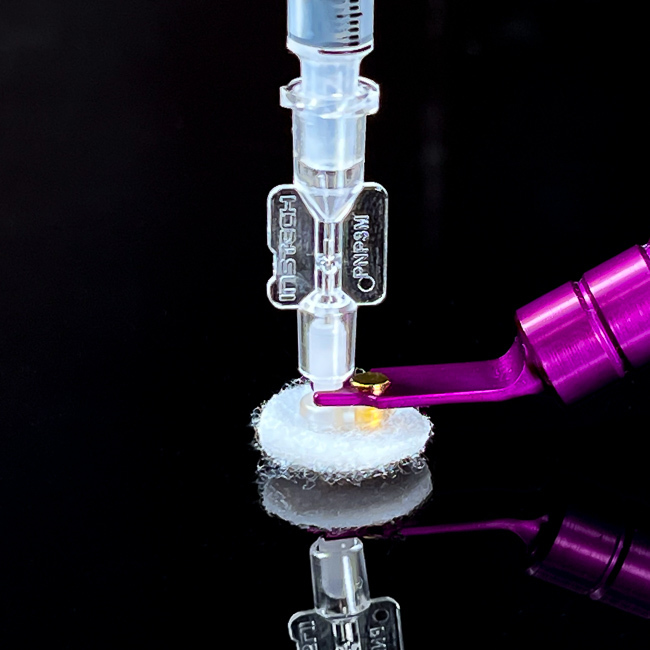 This method is a refinement over stress-inducing tail snips, retro-orbital bleeds or other peripheral methods, and the Vascular Access Button™ creates a closed system with five times greater patency than an externalized catheter. 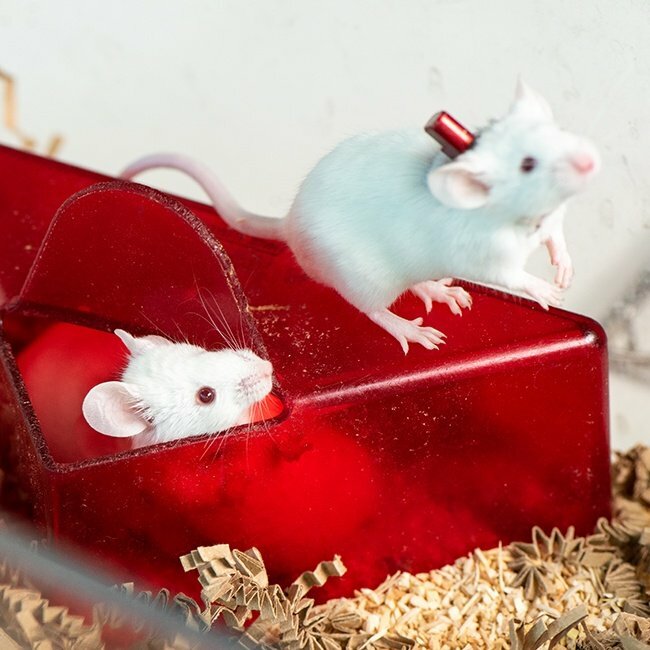 Furthermore, with a protective aluminum cap, mice can be group housed, a welfare benefit that is not possible with animals with externalized catheters. 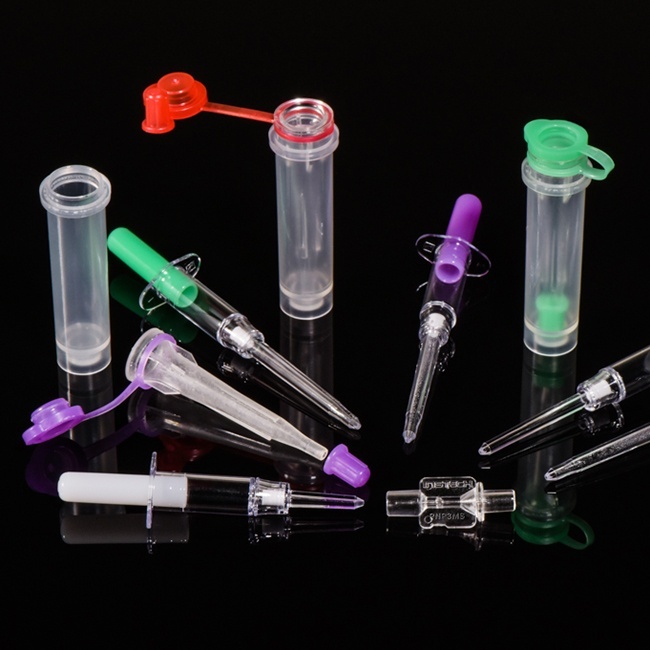 Access the button with a standard syringe fitted with the mating PNP3M injector. 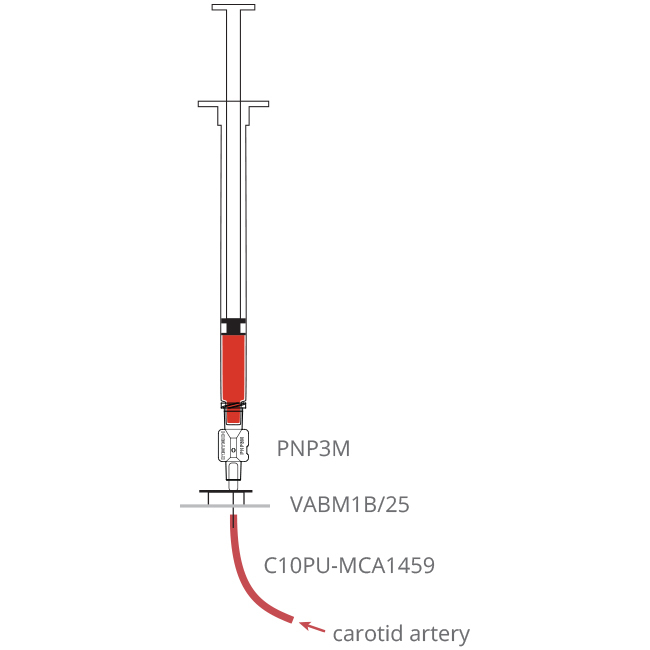 Collect precise microsample volumes directly into Sarstedt capillary collection tubes by using the PNP3MS connector. Use the magnetic handling tool to hold the mouse and minimize forces on the animal. Always use positive pressure technique when accessing small mouse catheters. To reduce stress even further, collect samples outside the cage: hands off sampling. A typical application setup is listed below. Add all the pieces to your quote, build your quote piece by piece, or call one of our experienced team members to help guide you through the system best suited for your needs. This 73 second video demonstrates the use of the Vascular Access Button™ in Mice from surgery to blood sampling, infusion, and group housing. Watch how to combine the VAB™ and PinPort™ with the Sarstedt capillary and centrifugation tubes for precise, stress free blood microsampling.